How about a GT3 picture thread. From 996 MKI to RS 4.0 and beyond. Re: How about a GT3 picture thread. From 996 MKI to RS 4.0 and beyond. Pics and youtubes ==> Daily driver '10RS white/gold. White OEM RS roll bar, red schroth seat belts, CUP LSD, lip and Gurney, Sharky, V1, K40 laser blocker. 997 GT3 MKI up next. I don't have many photos of these. Here is one waiting for factory collection. 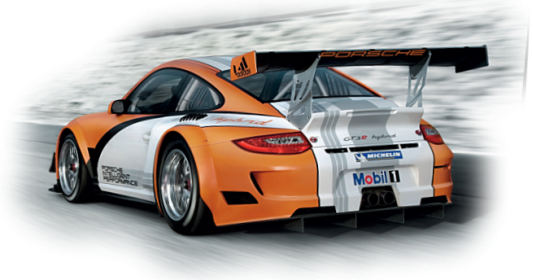 Up next is the 997 GT3RS MKI. The GTs never get old I think, no matter what year or color, 996, 997 Mk I or II. The next version, I am sure, will also be quite exciting. 997 GT3 MKII is up next. Fatih, lets see a nice shot of yours. Mike, more pics of the 4.0 please It is looking quite sweet. Lovely pictures Mike, thank you for posting. I will have an announcement about Mid-Ohio this weekend for the week of May 10-12, hopefully you can attend that event as well, there will be lots of tack time. Enjoy the 4.0. Btw, how is it on the track, enjoying it as much as I think you are?